This giveaway is closed, be sure to check back often for more great contests! I was given a chance to review a new Christmas Dvd. 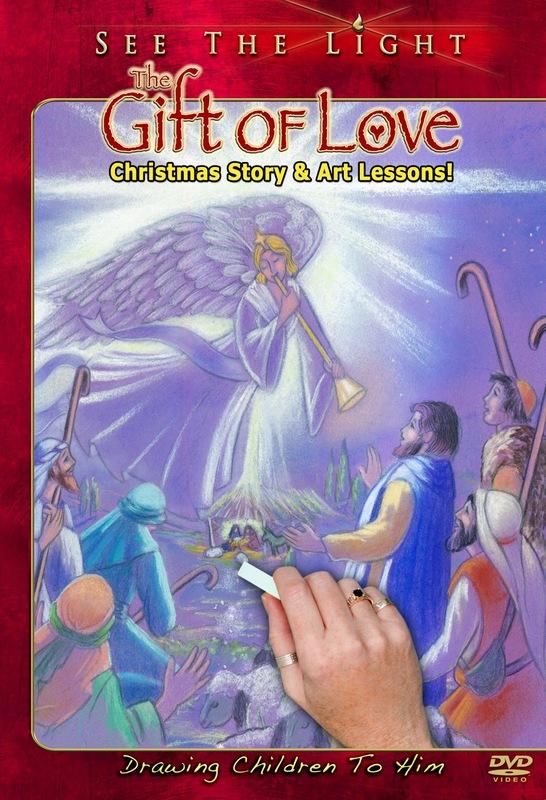 The Gift of Love is a Christmas story and art lessons. What a great way to blend home school art and Christmas together. I know each year when I am choosing gifts for my family, I like to sneak in few educational things. This Dvd would make a great gift. I can even recommended this gift for an unbelieving family, as there is a bonus feature of a beautiful, clear 7 minute gospel presentation. I cannot think of a nicer thing than to spend time with our loved ones creating real Christmas art in this busy season. This will be one our new traditions. It begins with a ten minute video illustrated by a chalk drawing. This Biblically sound movie is enhanced by an artist drawing different portions of the nativity. I appreciated the soft background music. After the movie celebrating the birth of Jesus, there are three art lessons that would be appropriate for ages 6 and up. My personal favorite is the Creative Lettering with Heidi Shorts. I enjoyed the way she blended history, art and the Bible. It is clear that each of the instructors have a heart for God as they teach. The second lesson captivated my hubby as he was walking by. This Dvd alone is available for $14.99. It also has a bonus pack for 24.99 that includes a black-light, which is used in the lessons(you do not have to have it, but the effect is cool). 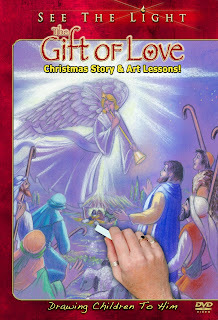 The Gift of Love Deluxe pack has the Dvd, the black-light and the fluorescent crayons used in the lessons. It is available directly from See the Light Art. Other DVD components include a creative and dramatic presentation of the plan of salvation called “Know the Light” and an immersive and worshipful multi-sensory segment featuring original music called “Celebrate the Light,“ making the DVD perfect for co-viewing with parent or teacher and child. Featured online are downloadable drawing lessons and an exclusive art club, where children will be exposed to various art techniques. The creativity continues as draw-along printouts extend the fun and learning beyond the DVD. This series is appropriate not just for families at home but also as supplementary curriculum in churches and schools. 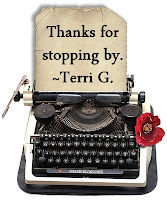 I am pleased to offer one of my blog readers a chance to win their own copy of The Gift of Love. This drawing closes Friday, December 10th. I want the winner to have time to enjoy this Dvd before Christmas. This give away is for U.S. addresses only. Tell me who in your family would enjoy this most. Follow Accidentally Homeschooling or let me know that you already do. Visit the website of See the Light Shine and tell me which of their products interests you. I will choose the winner on Friday night by the ever cool random number generator. I received this product free of charge from See the Light Shine Art in exchange for my honest opinion. I was not obligated to give a positive review. I think we would all enjoy it, but I think the kids would the most. They are really into drawing and paper crafts lately. I'd also like The Crossmaker DVD. I think my 10 year old would be the most interested. And I agree with Beverly... The Crossmaker looks intriguing as well. 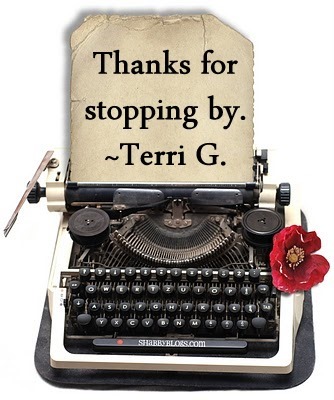 Hi Terri! Austin and I would love a chance to work with this Art program. Art seems to be one of his favorite subjects at the moment, especially since we attended the amazing Art class this fall at Christ Chapel. In fact, as I write this comment, he is using Barry Stebbings paints at the kitchen table to create a Star Wars masterpiece! My girls are both really into drawing and creating art of all types so I'm sure they both would LOVE this. I also like the Art Club that's available at their website. And Crossmaker also looks very interesting. I follow this blog, yes I do! I think my little Bear would like it best as she is into art right now. Liked See the Light on FB. I checked out the web site....nice. I follow See the Light Art on twitter now. I follow AccidentallyHS on twitter and it would be cool to win this art program. My 9 year old daughter would like it the most. I love chalk drawings. I like See the Light on FB. I think my sons and I would all enjoy this DVD. The boys a lithe more than me, but not much. From the website store, I think I would like the Gift of love bundle. I can never have enough Christmas and Advent material. I think our 7 & 9 year old daughters would enjoy this a lot ~ especially since they both love to be crafty and draw. Our kids would like The Crossmaker DVD but I want to read "Your kids have a plan, do you?" book! I am sure my daughter would like this the most. She likes the Christmas story a lot, and she loves to draw. I now like See The Light on Facebook. I also follow See the Light on Twitter now! On the website, I think the book "Searching for God's Love" Sounds great!